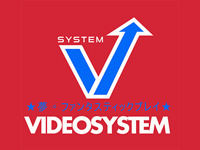 This month, 1ccShirts celebrates Video System! 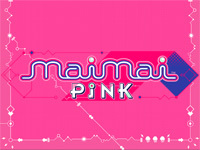 This company established in Kyoto in 1984 by Koji Furukawa began by creating mahjong games (including the Final Romance series) and puzzles like Alexey Pajitnov's Hatris and Welltris and the arcade adaptation of Pipe Dream. Video System also produced the Karate Blazers beat'em all, the Ta-o Taido fighting game and the F-1 Grand Prix, F-1 Grand Prix Part II and Lethal Crash Race racing games. They are also responsible of Power Spikes volleyball game and its infamous sequel Power Spikes II on MVS. A game so bad that many of the cartridges were converted at the factory into Puzzle Bobble cartridges. Later, they made the MVS breakout game Pop'n Bounce. But Video System is best known for its famous series of 4 shoot'em ups titled Sonic Wings (known is Europe as Aero Fighters). The developers of the first Sonic Wings video game left Video System shortly after the game release to found Psikyo. Their latest arcade game was Quiz & Variety Sukusuku Inufuku released in September 1998. 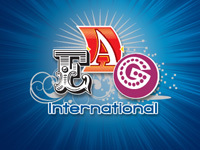 The company closed its doors in 2001. The T-shirt proposed by 1cc Shirts is a red Gildan branded T-shirt with the Video System logo on the front subtitled with the catch phrase "Dream. Fantastic Play" in Japanese language. You have until Sunday, December 27th to place your order. The price is $25 including shipping to the USA and $33 for the rest of the world. 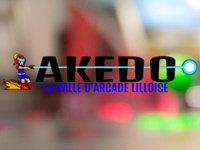 ad news: the famous Akedo arcade in Lille will close its doors on Sunday December 20th, 2015. 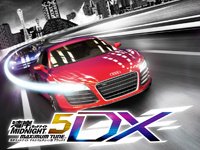 Opened in February 2013, the offer of machines has continuously grown with titles like ReRave Plus, In The Groove 3, Mario Kart Arcade GP 2, Rhythm Tengoku and Alien Extermination as well as many classics such as Super Street Fighter II X, The King of Fighters'98, Metal Slug 3, Puzzle Bobble and ESP Ra.De. The atmosphere is great and the place is often crowded. In fact, the only problem is the lack of space. 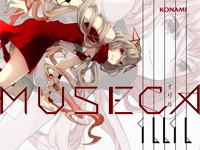 The lease ending in January 2016, Akedo is forced to move. For over a year, they are looking to expand while staying in the city of Lille. Despite a strong case and positive results, access to all the interesting places were refused by reluctant landlords. 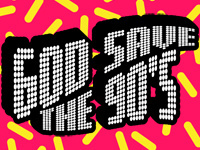 The reasons for their refusal are the same as usual: "Is this stuff still popular? ", "It's full of thugs. ", "Isn't it a bit outdated?". As you can see, the landlords have in mind the vision of the old European arcades (which have either closed down or turned into mini casinos a long time ago). This is all the more damaging because the young entrepreneur opening an arcade has a model more like a Japanese game center in mind. Regarding profitability concerns, video games have never been as popular as now and the retro gaming trend provoked a nostalgia shock bringing the public back to the arcades which have become very rare. There's a clear lack of supply to meet demand. We had the same joke when a bank has refused us a loan for the purchase of a warehouse to host our arcade machines. Someone had first accepted the loan and then she went on vacation, one of his colleagues then refused the loan at the last minute, saying that the bank "would have nothing to do with the casino business". This forced us to find another bank in an emergency. We got a loan in the evening but at a less favorable rate. The general lack of knowledge of the subject is the main barrier to the return of arcade games in the European urban landscape. And everyone is losing; players, young entrepreneurs who want to live of their passion and the general population as arcade games contribute to ambient happiness. These landlords probably prefer that their building houses yet another clothing store. The Akedo arcade will close Sunday December 20th, 2015. Will the closure be final? Yes, if they do not find another premise in Lille. In that case, it will be the end of the city's sole arcade. So if you know people working in real estate in this city, it's time to give them a call! Note that the arcade closing does not affect Arcade Nord, Akedo's arcade machine sales activity. Sales are suspended at the moment because of the restoration work surplus due to a large quantity of orders. Sales will resume in January whatever happens. Meanwhile, thank you for spreading the word about this story to cause recognition of this activity among the people of power. After many presentation events, Dissidia Final Fantasy is released today in Japan. This a 3vs3 fighting game. Players can compete in local, national network or play against the CPU. Players can control one of 14 following characters: Warrior of Light (Final Fantasy), Firion (Final Fantasy II), Onion Knight (Final Fantasy III), Cecil Harvey (Final Fantasy IV), Butz Klauser (Final Fantasy V), Tina Branford (Final Fantasy VI), Cloud Strife (Final Fantasy VII), Squall Leonhart (Final Fantasy VIII), Zidane Tribal (Final Fantasy IX), Tidus (Final Fantasy X), Shantotto (Final Fantasy XI), Vaan (Final Fantasy XII), Lightning (Final Fantasy XIII) and Y'shtola (Final Fantasy XIV). They are divided into 3 types: heavy, speed and unique. Dissidia Final Fantasy uses a control panel with 2 sticks, 4 buttons (attacks, jumps,...) and a big Crystal for invocations. The left stick controls the character movements and the right controls the camera. The cabinet features also a headphone jack if the player wants to play with his headphone. There are two types of attacks: "HP Attack" and "Brave Attack": the "HP Attack" decreases the health of the enemy and the "Brave Attack" decreases the Break Bonus gauge from the opposing team. 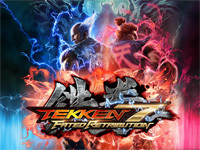 Players can also use the EX Skill from different Final Fantasy games such as "Protect Cast on allies to raise defence", "Cast Slow on enemies to slow their movements" or characters abilities such as the Tina's "Trance" or Cloud's "Limit Break". The team can temporarily invoke legendary creatures (Ifrit, Shiva, Rahmu, Odin and Leviathan) by filling up the team-cooperative "Summon Gauge". When it's filled, one of the team members launches the invocation by pressing the big crystal in the center of the control panel. 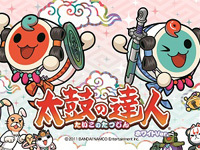 The interface of the game is composed of many elements. Party Status shows the health of the team members, the brave status and if they are targeted by an enemy. The Player's Status indicates the health of the player and the brave status (attack power) and the buttons assigned to the EX Skill. The Influence HP decreases when a member of the team is dead. If it falls to 0, the team loses. The Target Line, if it is red, the player is locked on by an enemy. If it is blue, the player locks an enemy. The Bonus Break shows earned bonus points when a member of the team makes a break on an enemy attack. The Navi-Map shows the position of all players. The Enemy Team's Information displays information about the members of the opposing team. Stages come from well-know places from the saga: Cornelia (Final Fantasy I), Interdimensional Rift (Final Fantasy V), Narshe (Final Fantasy VI), Midgar (Final Fantasy VII), Besaid Island (Final Fantasy X), Eden (Final Fantasy XIII). 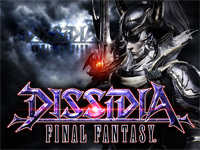 You can watch the trailer of Dissidia Final Fantasy here.